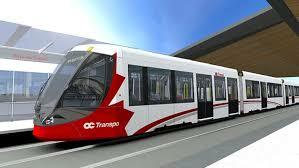 September 25, 2018 , Ottawa – The Barrhaven Business Improvement Area is excited to announce that the Environmental Assessment for Barrhaven Light Rail Transit Statement of Work has been released. This statement of work is particularly significant in bringing light rail from Baseline Station through to the Barrhaven Town Centre. By combining the current Barrhaven Rail Grade-Separation EA study with the Barrhaven LRT EA study, this work plan will streamline the consultation process, both expediting the commencement of the study and providing cost savings. The combined study is expected to be completed within approximately 24 months, by Fall of 2020. “I am delighted that Council unanimously supported the proposal to fast-track the Environmental Assessment for LRT to the rapidly growing community of Barrhaven. Given that the demand for world-class, sustainable transit is growing in all parts of our city, I look forward to working with the Province of Ontario and the Government of Canada to see how quickly we can bring Light Rail Transit to residents of Barrhaven.” said Mayor Jim Watson. As Councillor of Knoxdale-Merivale Ward “I know that my residents and businesses will benefit greatly from the future LRT extension. Connecting Algonquin College to the Nepean Sportsplex is just one of those benefits.” Said Councillor Keith Egli. This is great news for the communities south of the Barrhaven Town Centre as they will now be better connected.